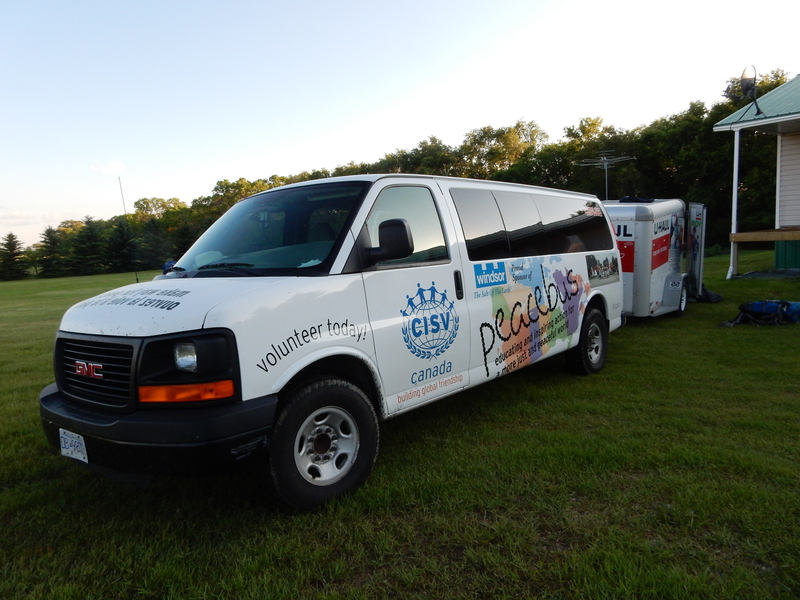 This will be The C2C Peace Bus’ 8th stop in Saskatoon as it is just finishing it’s 4th year as a CISV Canada project. While they are in Saskatoon they will be busy with a Welcome BBQ at the Forestry Farm Park, Workshop at CNIB, River Walk followed by a tour of the Canadian Light Source and Vet College, finally they will finished with a Tipi Sleepover at Wanuskawin including dinner at the Wanuskawin restaurant. They will be in Saskatoon August 12,13,14 so if you see them driving around town be sure to wave hello!